From now until Sunday (August 16, 2015), get a large 2-topping pizza for only $5.99 at Domino's Pizza locations in Hawaii! There is no limit to the number of $5.99 pizzas you can purchase, but this deal applies to carry-out orders only. You can place your order by phone (the old school way) or online at https://www.dominos.com/. I called my desired pick-up location to place my order because I wanted two different toppings combinations on one of my pizza (half cheese for my boys, half chicken and mushrooms for me and the hubby). 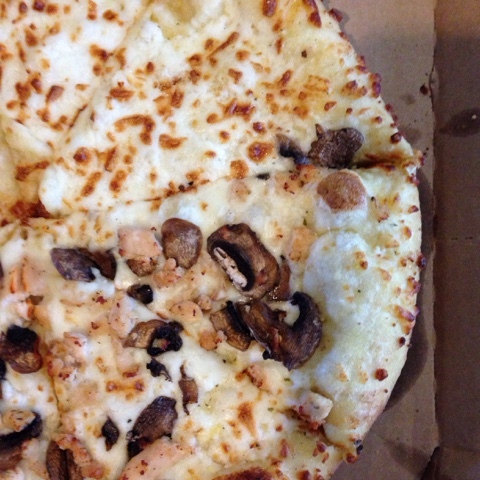 You can fully customize your pizza by choosing your crust, sauce, and toppings. Don't delay in taking advantage of this awesome deal from Domino's Hawaii. It's only good through Sunday evening. Click HERE to find your nearest Domino's Pizza Hawaii location.